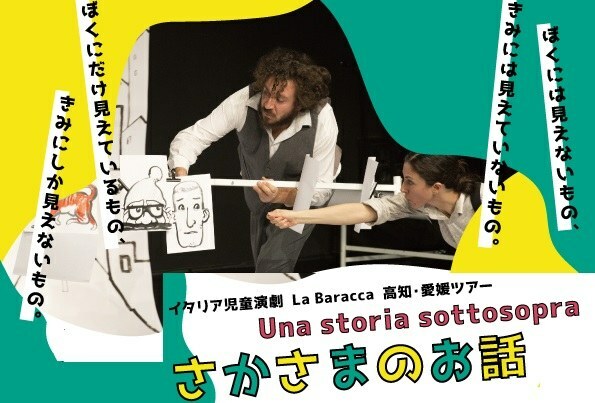 The activities of La Baracca-Teatro Testoni Ragazzi are based on the idea of competent and sensitive children, who can fully enjoy a high-quality artistic experience at any age. Their productions, addressed exclusively to children and young people, gain international appreciation for their ability to tell highly effective stories with simple ingredients and scenic elements. The show Salty Taste tells about the «odissey of a sardine» to let young spectators discover the adventure of travelling -and of living- showing the strength and perseverance of a small fish who, even facing danger and threats, follows its own path. Upside Down deals with the theme of friendship by means of two opposite characters who live in different ways and spaces until a common purpose leads them to meet and share. On August 2nd, Salty Taste, new production for children aged 4 to 8, is on stage with two performances at the Hippalot Arts Festival for Children in Hämeenlinna. Upside Down, show for children aged 1 to 4, makes its debut in Japan: on August 2nd, two performances in Kochi, and then two further performances in Niihama, at the Akagane Museum, on August 5th.